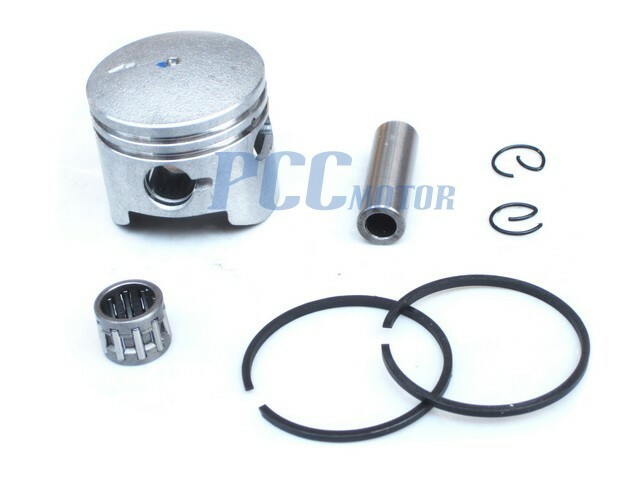 This is a 'big bore' cylinder CNC top end kit for 49cc pocket bikes. 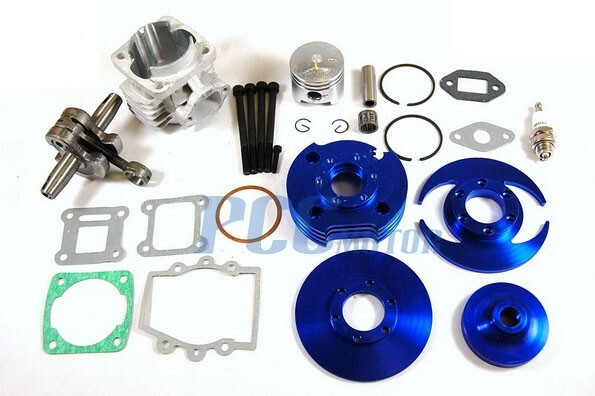 This kit includes everything you need to get 3.5 to 5 times the power out of your standard issue 2-stroke 49cc engine. 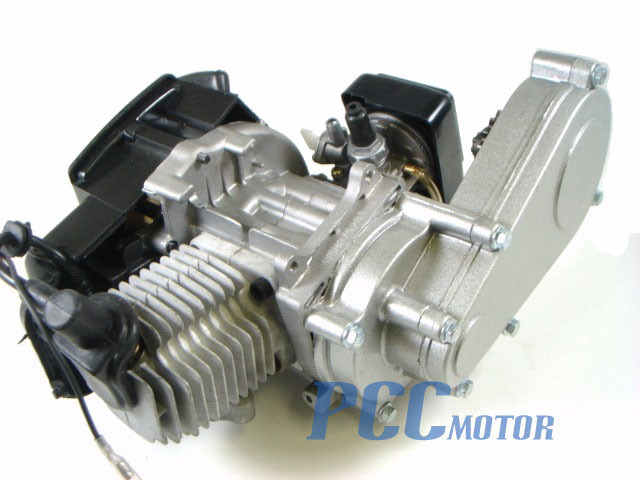 Huge increase in bottom and top end power! 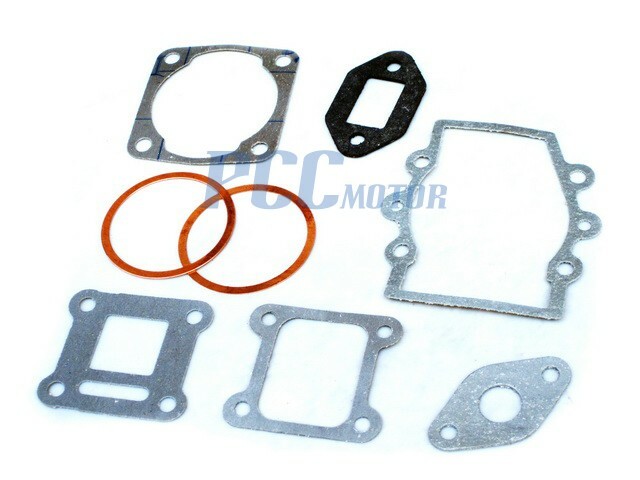 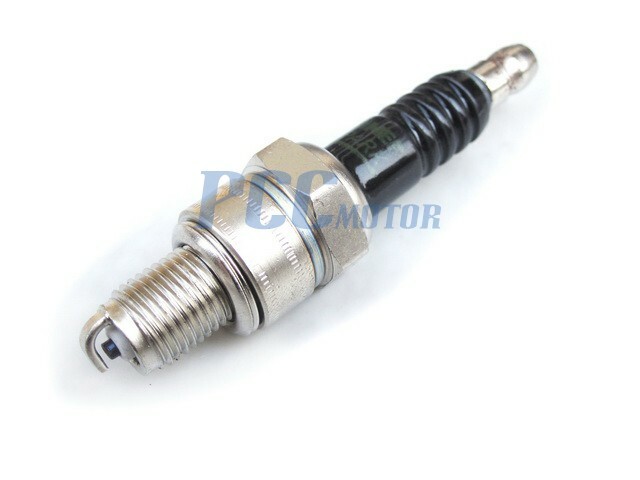 This is a high compression, performance head kit. 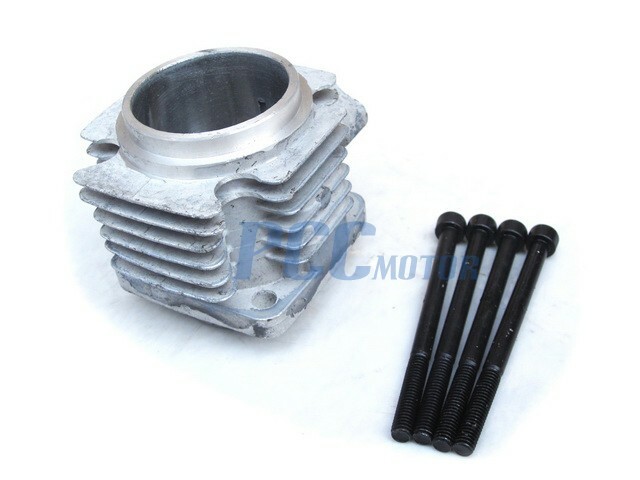 We offer single valve (single large oval slot in the piston) and two valve (dual slot in the piston), this ad is for a single. 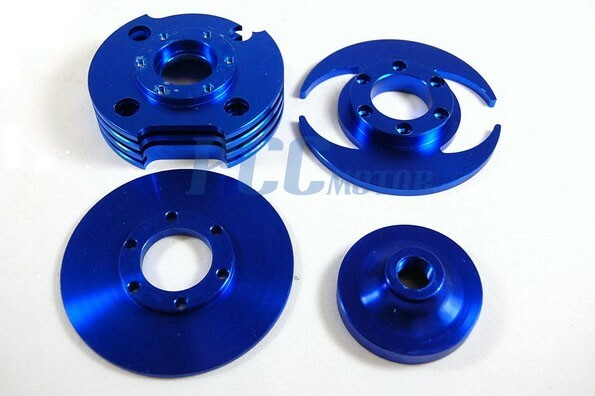 This is the most powerful top end kit mod for 49cc 2-strokes on ebay.